Made in Slovenia, candy and package were made in Kolinska factory. 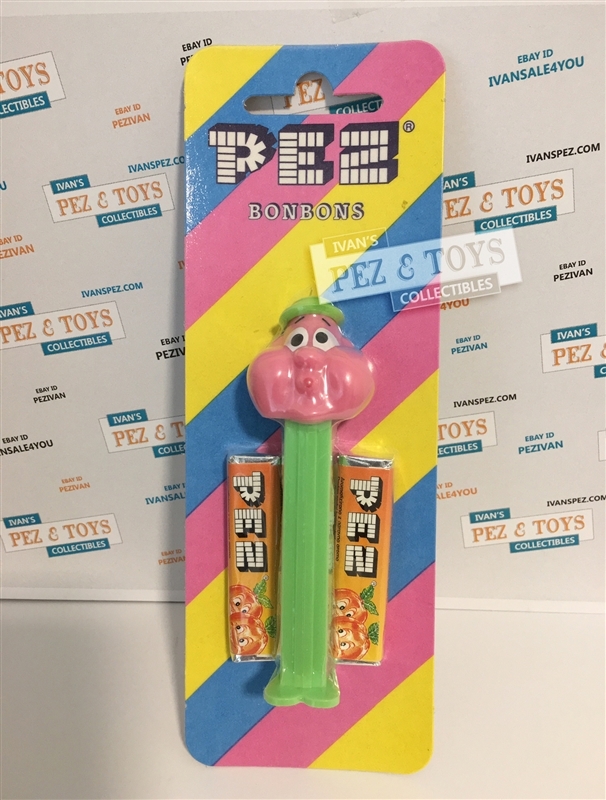 This is a sample of the MOC PEZ, they never sold them on MOC to the public. On the back is a nice graphic with Peter PEZ on a train, styled as a labyrinth game.